The Trinity Schools Book Award was originally set up for a group of independent schools in the South East of England. Now in it’s fourth year, it has expanded to include other schools who would like to join. I have to declare an interest, in that I am part of this group, but that is not the only reason I am writing about this on Heart. School Librarians around the country – and local School Library Services (where they still exist) have set up book awards all around the country. 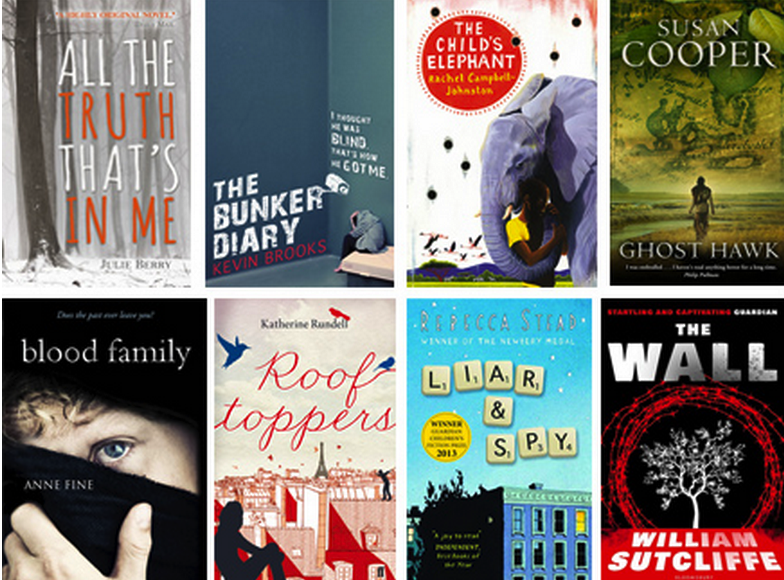 To see the variety of these look at the Local Book Awards tab on Heart. One, quite notably, has become a national award because it is so unique – the Excelsior Award which is the only book award to focus solely on Graphic Novels. This award is the brainchild of Paul Register, who was a school librarian when he set it up, and now is an independent trainer who teaches on the importance of graphic novels. So with this plethora of local book awards, why am I flagging up the Trinity Schools Book Award as being a bit different? Well, we believe that our USP is that alongside the normal book reviews and reading the books, we have set up a Creative Response Review. The responses from the pupils to the books has been quite staggering! I thought that their responses deserved a wider audience, and that this is perhaps something that you might consider for your award as well. The creative response brings out a different side to the books, and the authors are usually delighted. Sarah Govett, who won this year’s Award with her book The Territory delightedly tweeted screenshots of the responses to her book after the winning announcement. To look at the Creative Responses to this year’s books on the theme of A New World, click on the link. You can see Creative Responses from other years as well, including an Everest cake, a lego response to Mortal Engines, a sea shanty, a piece of music, cosplay, and much more! Look under the Creative Responses tab on the website to see the other four years. Click on the logo at the start of this piece to visit the website – and enjoy! I expect you have all heard by now who the long-awaited winners of the prestigious Carnegie and Greenaway awards are. But if you hadn’t, Salt to the Sea by Ruta Sepetys won the Carnegie and There is a Tribe of Kids by Lane Smith won the Greenaway. In addition, the Amnesty Honour Award went to Bone Sparrow by Zana Fraillon and The Journey by Francesca Sanna. Read more about the books and the acceptance speeches here. This year there was an emphasis on the refugee crisis, and coincidentally the awards came at the start of refugee week. The ceremony was a special one, as it is 80 years since the Carnegie Medal was created, and 60 years since the Greenaway, so it was also a celebration of all of the past winners of the award, many of whom were at the ceremony. 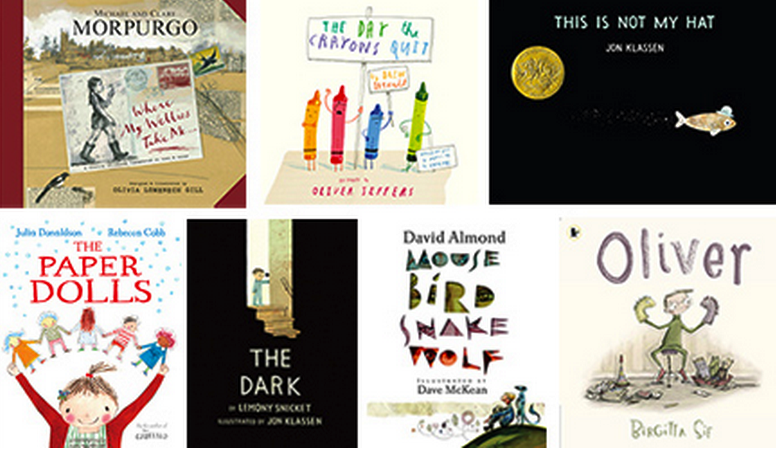 This book award has remained the gold standard for authors and illustrators, promoting what is best in children’s books throughout the years. 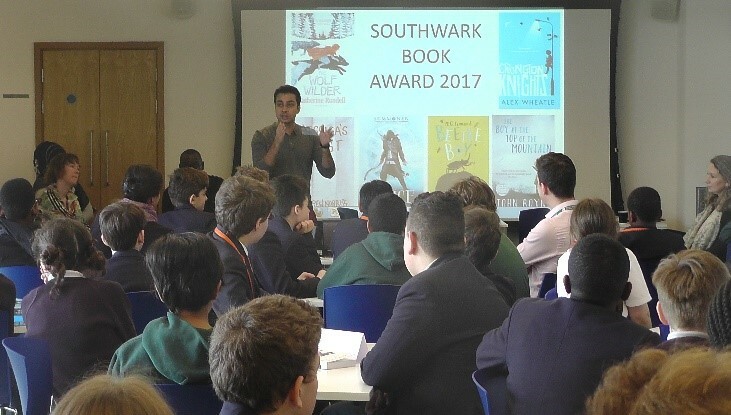 On Thursday March 9th 2017, selected children from several different schools around Southwark packed into Canada Water Library to find out the results of the Southwark Book Award 2017. The Award had been relaunched this year, with six shortlisted books published during the school year 2015/2016, and voting was open to children in Years 7 & 8. 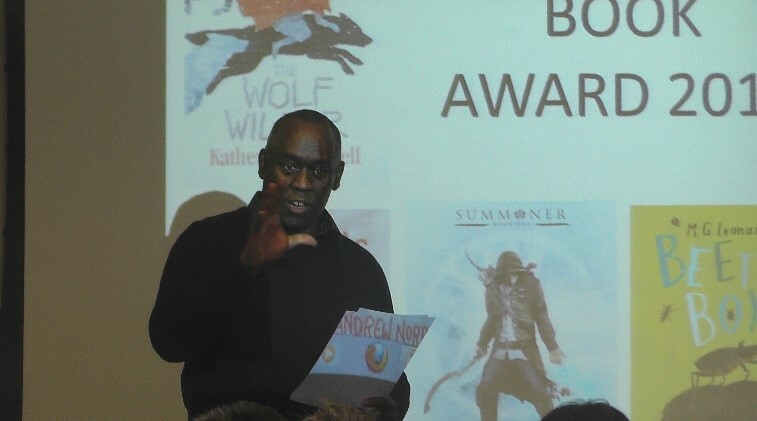 Three of the shortlisted authors – Taran Matharu (The Novice) M.G.Leonard (Beetle Boy) and Alex Wheatle (Crongton Knights) were present at the ceremony, which caused an extra frisson of excitement amongst the children present. 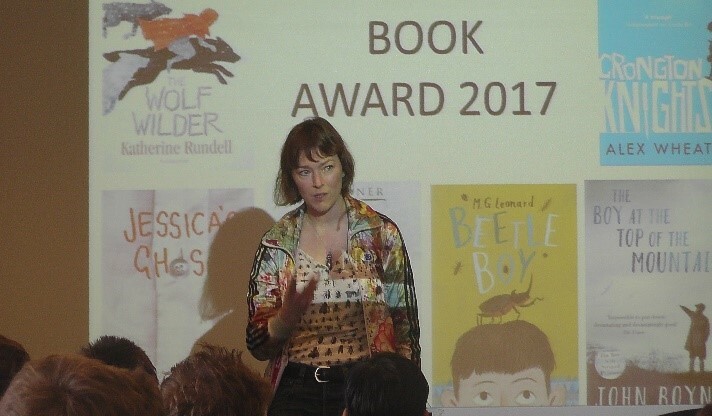 The three other shortlisted books were The Boy at the Top of the Mountain by John Boyne, Jessica’s Ghost by Andrew Norriss and The Wolf Wilder by Katherine Rundell. The pupils had already voted for their favourite book online, but once at Canada Water Library they were split into groups to discuss and rank each book in terms of its style, characterisation, plot, setting and theme. Later, they were treated to a short talk from each of the authors present. The highlight of the morning was the presentation of the Award. Jo Mead, Learning Resources Manager at Harris Boys’ Academy, East Dulwich, first announced the results of the morning’s discussion – which saw the honours for the different elements of the books fairly equally divided between the six titles. The overall winner of the Southwark Book Award 2017 however, was Andrew Norriss, for his book Jessica’s Ghost. Sadly, the author was unable to be with us on Thursday, but he sent a video in which he professed himself “absolutely delighted” and thanked all the students for their votes. Before leaving to return to their respective schools, the students swarmed the authors present with requests for books, posters and bookmarks to be signed – a sure sign that a love of reading is alive and well in Southwark! The Southwark Book Award is organised by the Southwark Education Librarians’ Forum, and we’re looking forward to making it even bigger and better next year. Southwark schools who would like to take part in future awards should contact Jo Mead (J.Mead@harrisdulwichboys.org.uk) to join our mailing list. 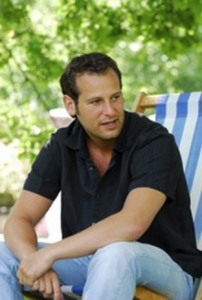 Author Dan Freedman scores with QEGS! Angela Yates and Emma Hopkins, librarians at Swanshurst School Library, sent me this fantastic story about the achievement of two of their Year 8 pupils. “We have been running four C&G shadowing groups in our school library during lunchtimes each week throughout the duration of the shadowing scheme, with almost 80 students involved. We celebrated the official awards last Monday with our own lunchtime award ceremony for group members, rewarding achievements such as best review, video review and picture. This year as part of the shadowing scheme students entered a national creative writing competition organised by Authors’ Licensing & Collecting Society Ltd (ALCS) on the theme ‘what reading means to me’. One of our students, Aleena Ali in Year 8, was one of three national prize winners. Aleena’s reward of a box of books was presented to her at our award ceremony by our head teacher. Aleena’s work is now on the ALCS website and will be published by ALCS News next month. At the national C&G awards ceremony, in her acceptance speech for ‘Buffalo Soldier’ Tanya Landman quoted at length from a review posted on the shadowing website by Firoza Ahmed, also in Year 8 at our school. Both Firoza and Aleena are in the same shadowing group and English class at Swanshurst School in Birmingham. Aleena’s prizewinning article can be read here. Swanshurst’s Carnegie Shadowing page is here, and their Greenaway page is here. What an inspiration, and how proud the school must be of these two girls! 2014 Winner of the Stan Lee Excelsior Award announced! DC’s Parallel World Superhero Story Scoops First Place! 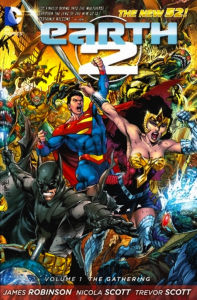 3172 Ratings Forms were returned and analysed this year and the teenagers of Great Britain have chosen their winner – Earth 2 by James Robinson and Nicola Scott (published by DC Comics) To find out which books finished 2nd and 3rd click here and visit the website. 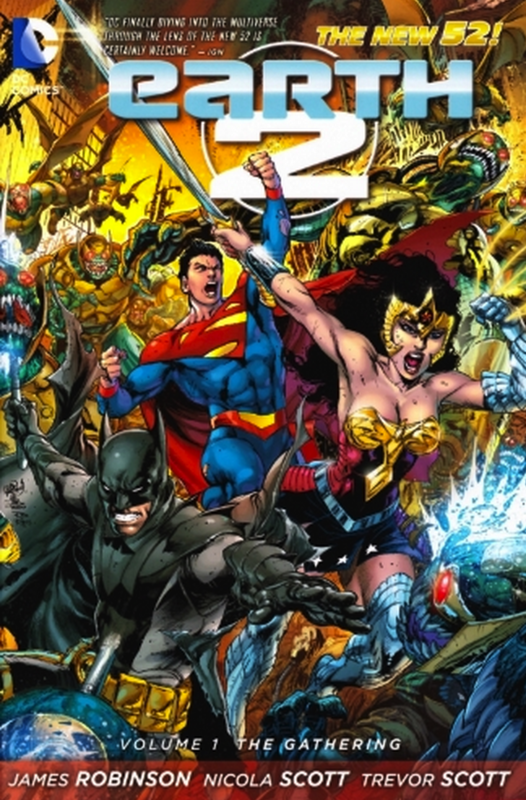 Earth 2 also won the JABBICA (Judge a Book By Its Cover Award) , becoming the first graphic novel to win this award AND finish in the top three. This stunning and intricate cover was created by Ivan Reis. Sheffield’s Silverdale School won the True Believers Award for the second year running. This award goes to the school which returns the most rating forms. Congratulations to them too! 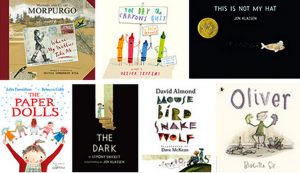 Carnegie and Greenaway winners – and all that fuss! Congratulations to Jon Klassen for winning the Greenaway Medal with ‘This is not my hat’ and Kevin Brooks for winning the Carnegie with ‘Bunker Diaries’. You can read more about the winning books on the official page. However, you can’t have missed the controversy surrounding the Bunker Diaries, with some newspapers deeming it unfit to be read by children, too disturbing and damaging, whilst others took the completely opposing view. Here are the links, judge for yourselves. Also Shoo Rayner, children’s novelist, believes that the Carnegie has taken the wrong turn, and that the Carnegie Medal should be for children’s, and not young adult, books. It has caused a Twitter storm from angry YA authors and librarians – read his post here. And finally, Barbara Band, CILIP President and school librarian made an excellent speech about school libraries on announcement day, advocating for school libraries. Read her blog post which includes the speech in full here, or watch it on Vimeo here. Let us know what you think – at least it has got people reading the book, and commenting, if nothing else!